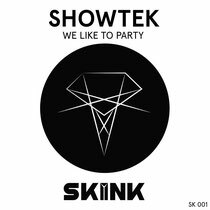 Showtek have aunched a new record label, Skink, with single, ‘We Like To Party’, which is out now. Closing out 2013, Showtek establishes an upfront platform and offers up a track to set a strong tone for the New Year. The track embodies all that the Dutch duo is known for - high-energy big-room vibes. Following up on their track, ‘Booyah’ feat. We Are Loud! & Sonny repertoire. In ‘We Like To Party’, they base the arrangement around their signature synth horns to accentuate the lead melodies that pierce through with good effect. With the synths combined with heavy drums and added sounds, the track results in a decent listening experience that should go down well on the floor. Showtek has also Check their new track below.